Below you will find the chart showing our next day deposit schedule. 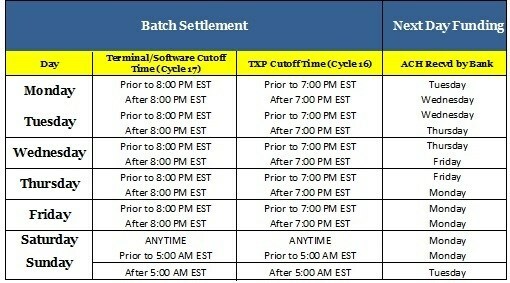 Standard terminal cut off time for next day is 8pm EST. Friday, Saturday, and Sunday transactions will deposit on Monday.